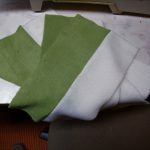 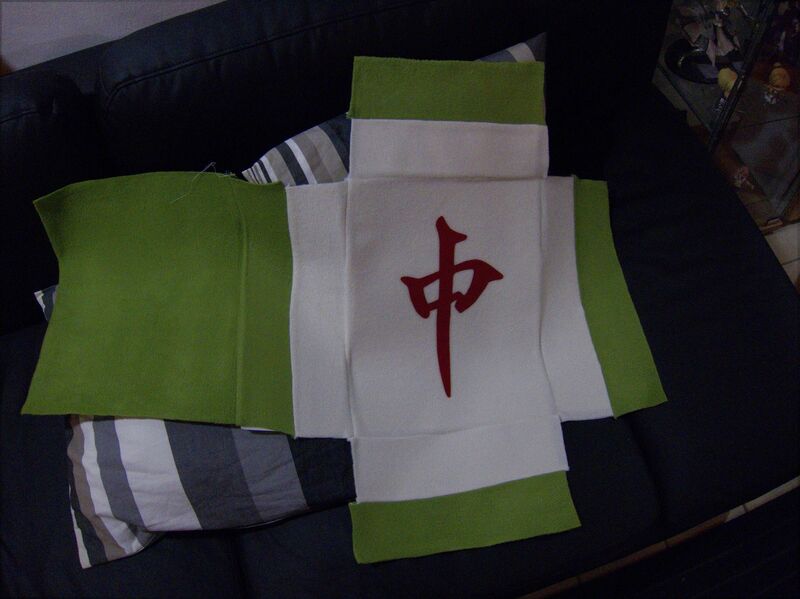 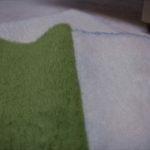 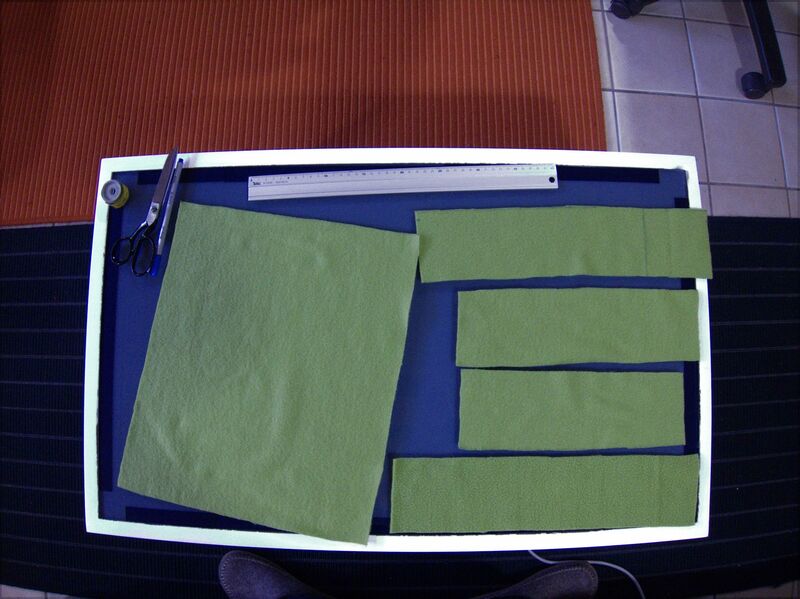 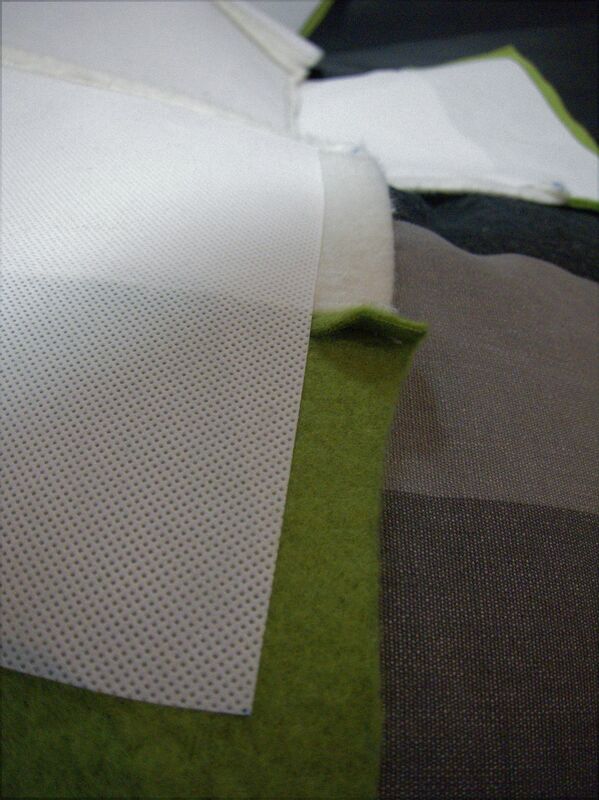 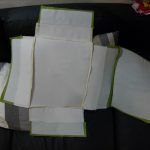 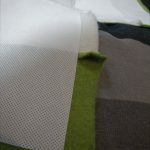 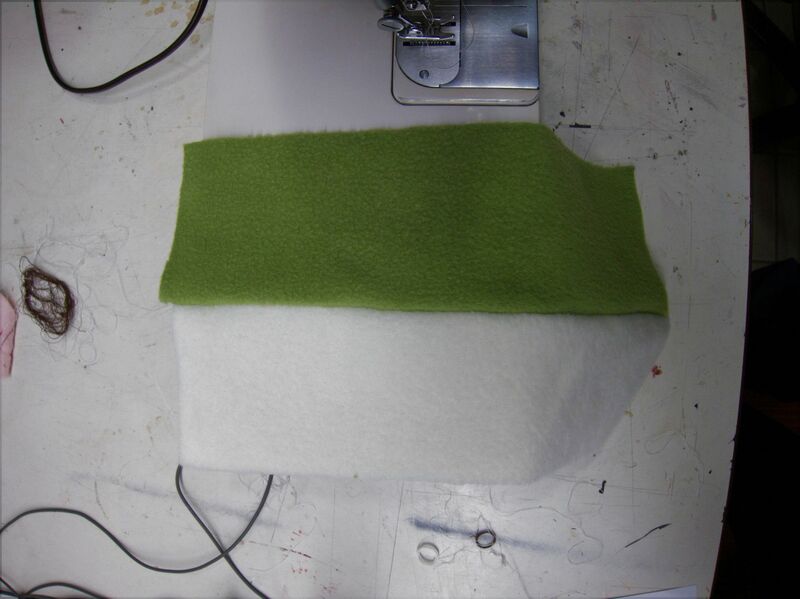 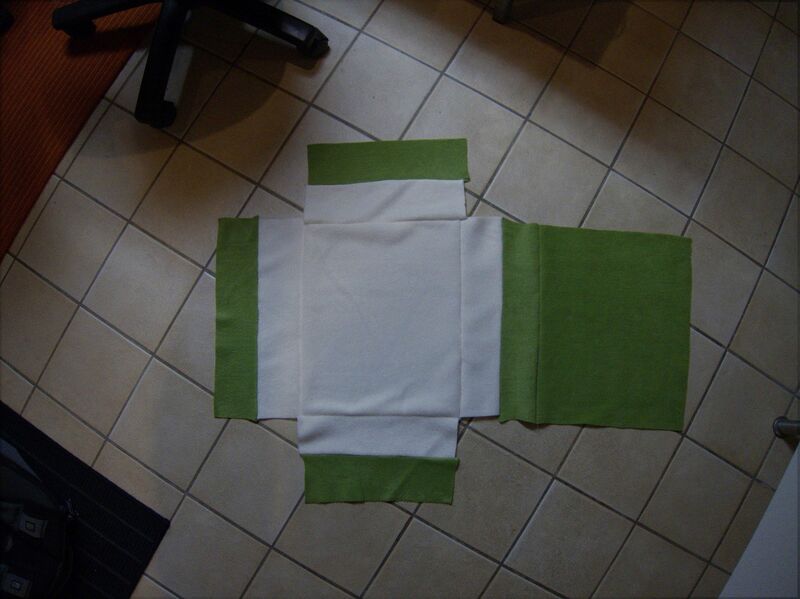 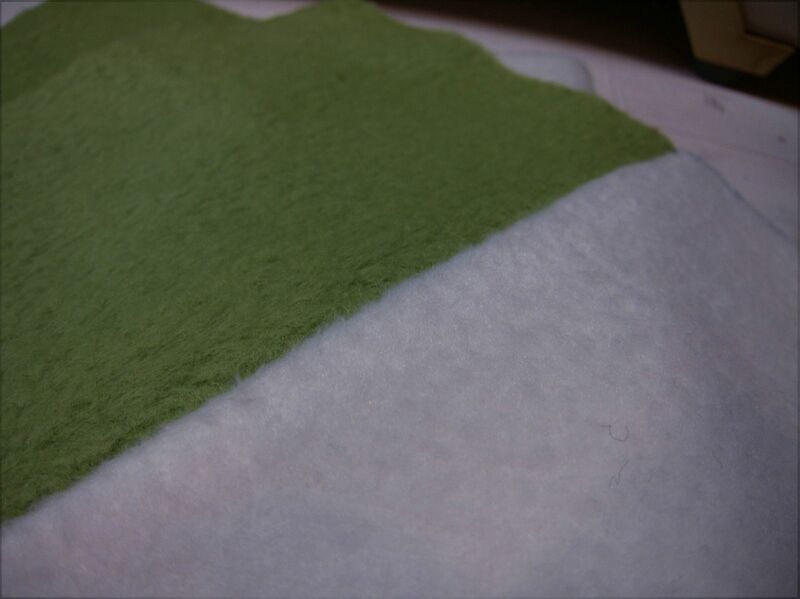 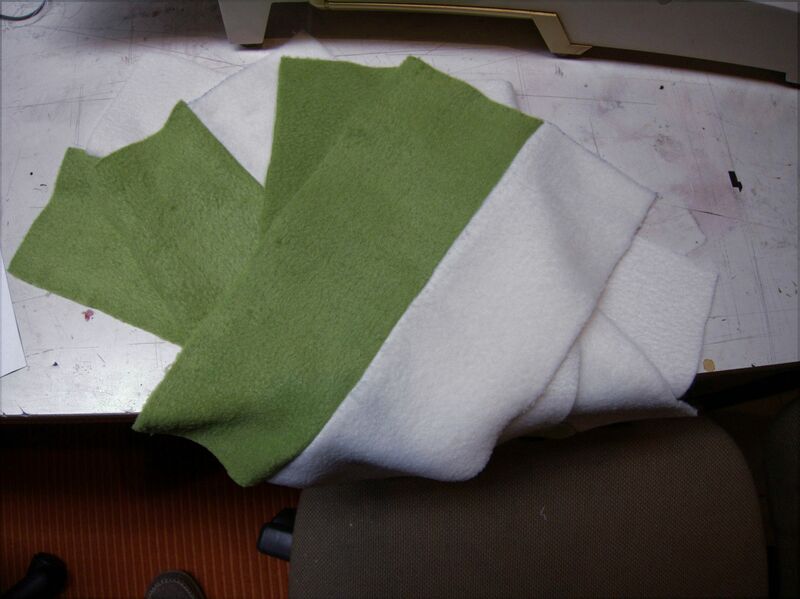 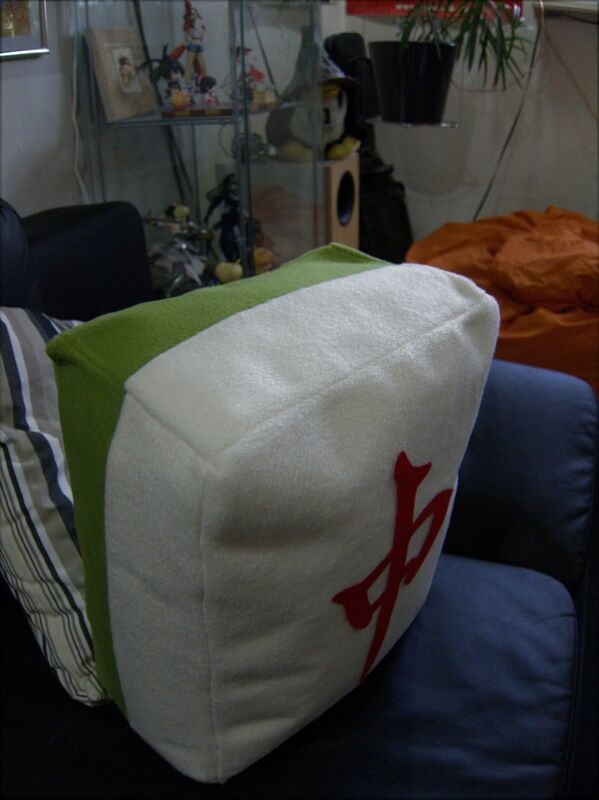 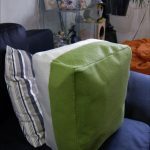 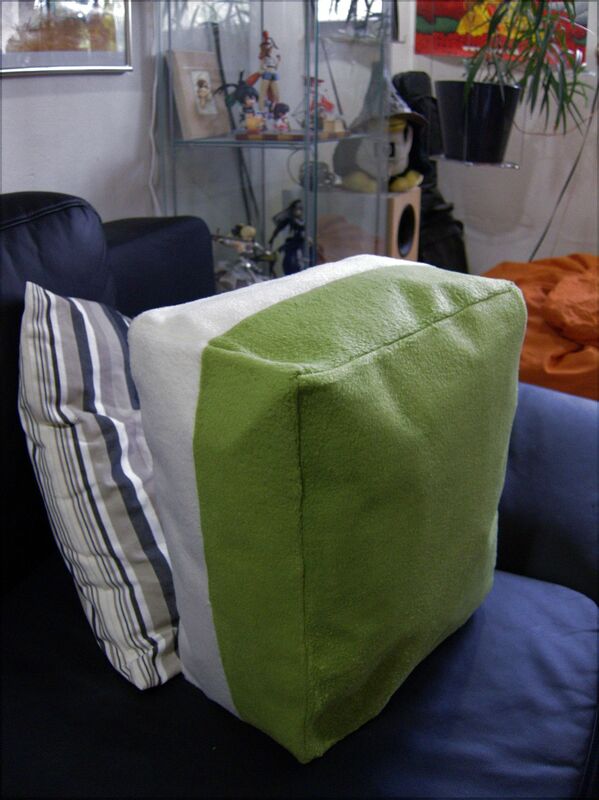 then sew the bars to the large green/white pieces – it’ll look like this. 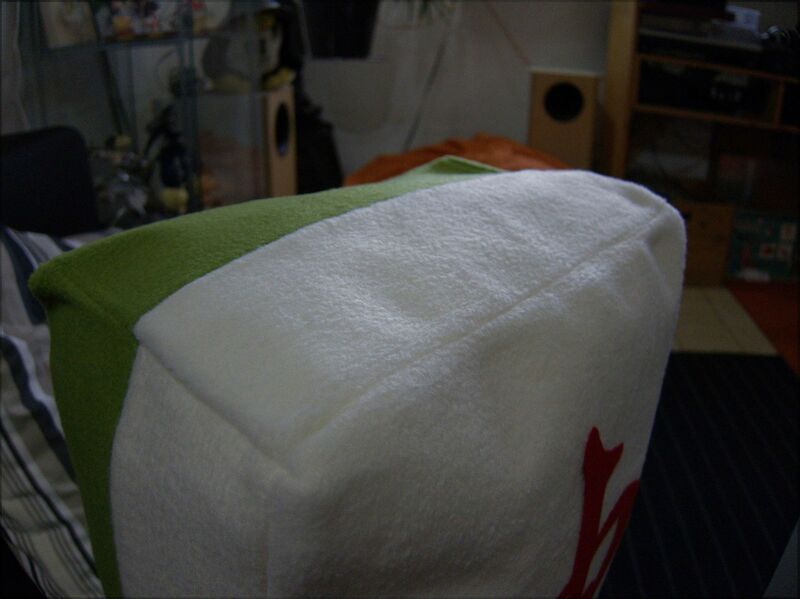 You may recognize that this resembles the flattened form of a box. 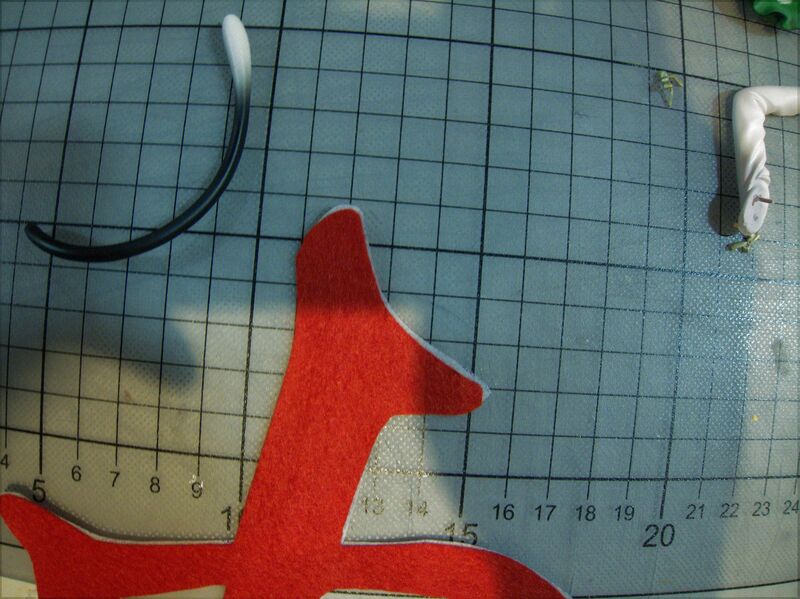 this should be the chin you get … below you can see the double-sided-glue interface. 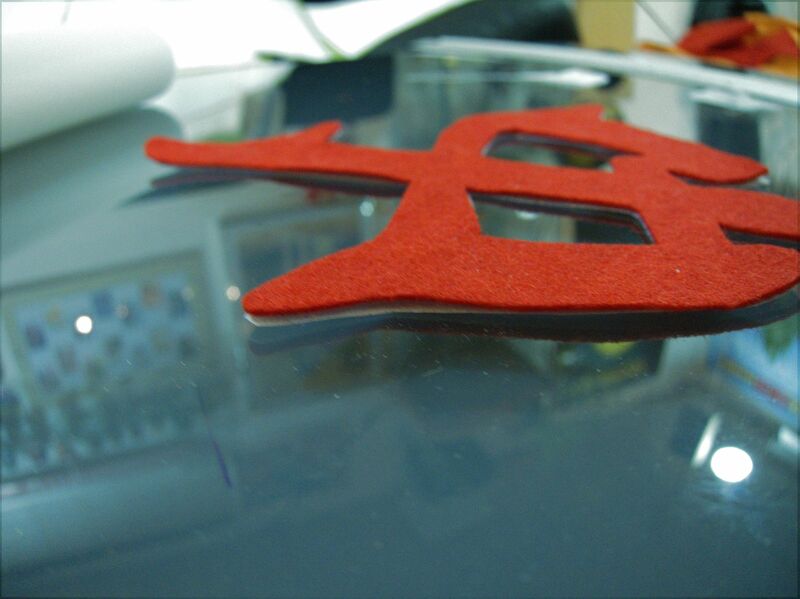 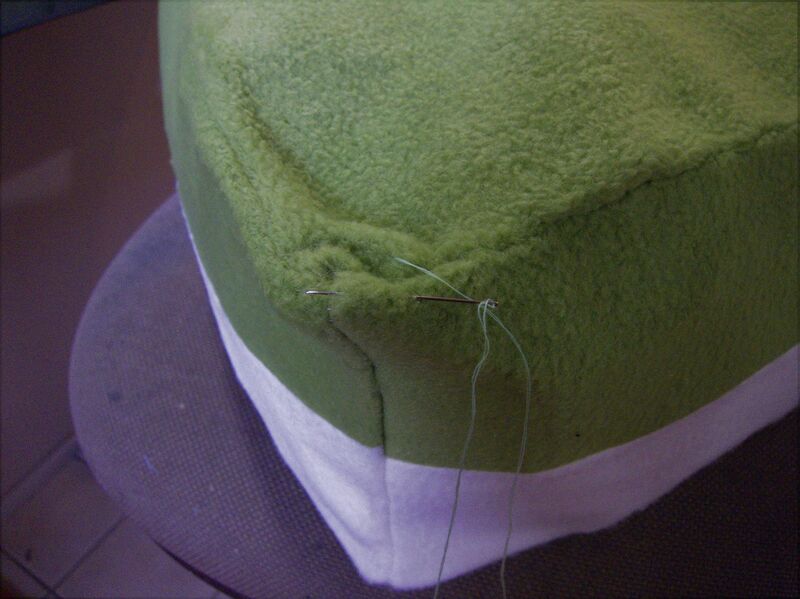 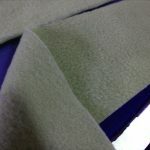 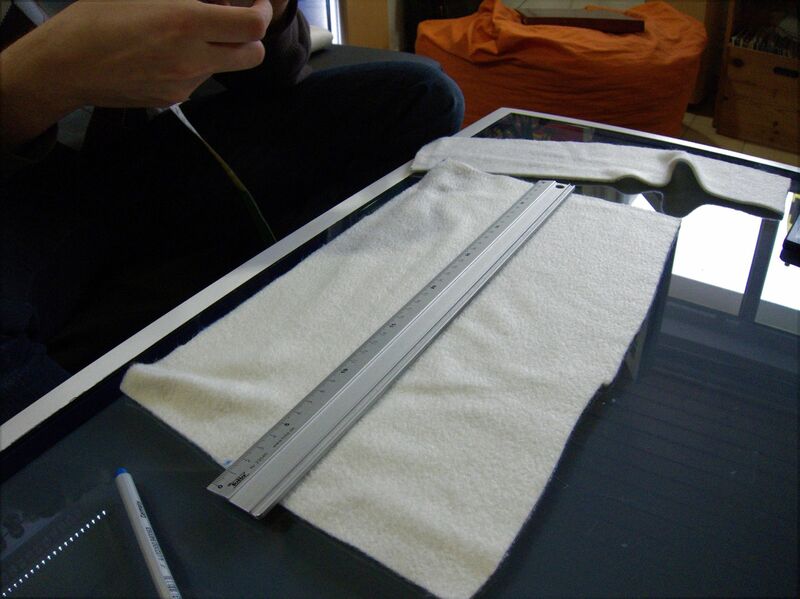 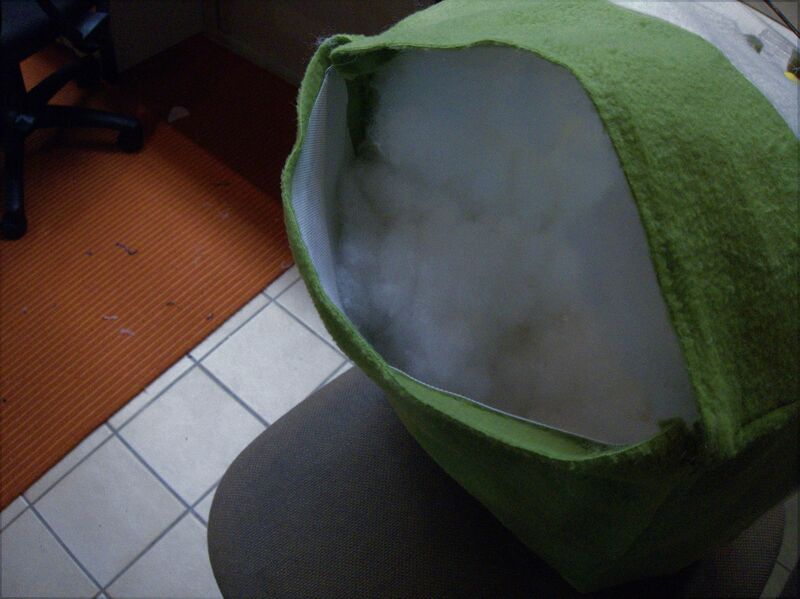 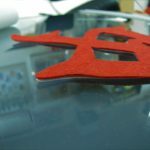 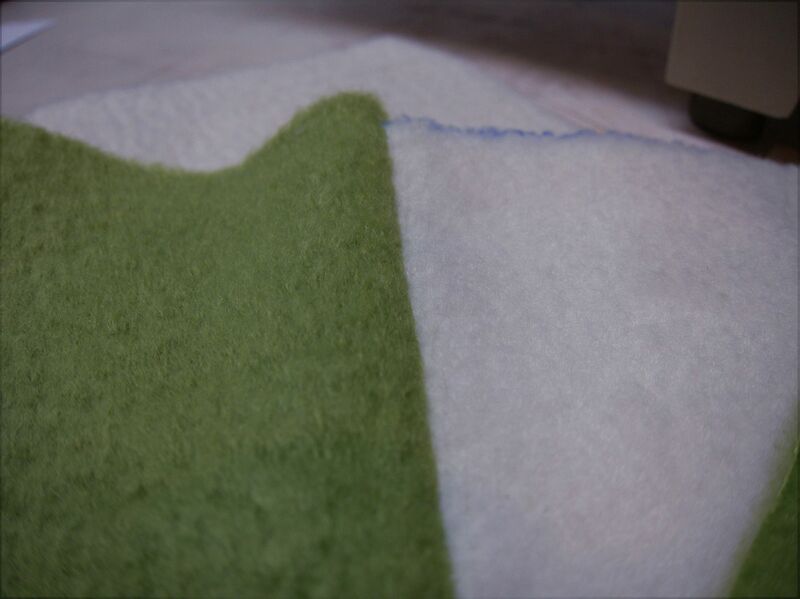 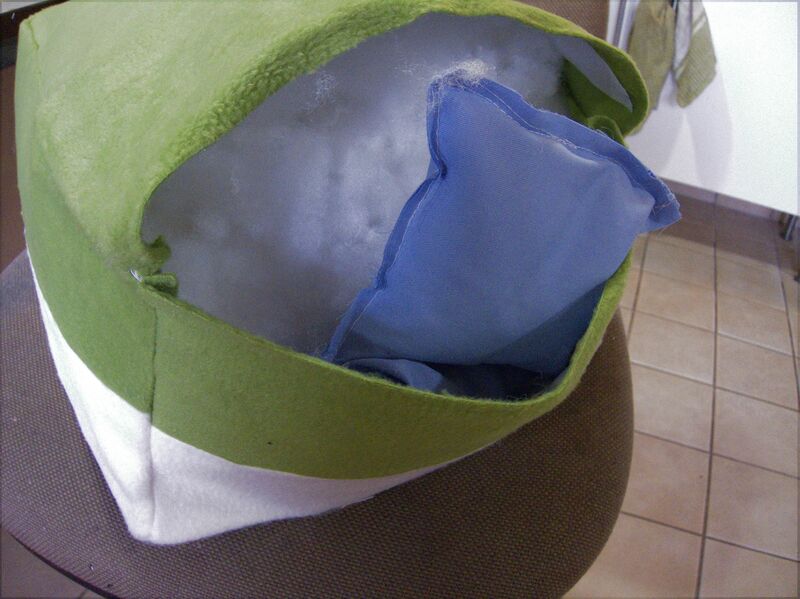 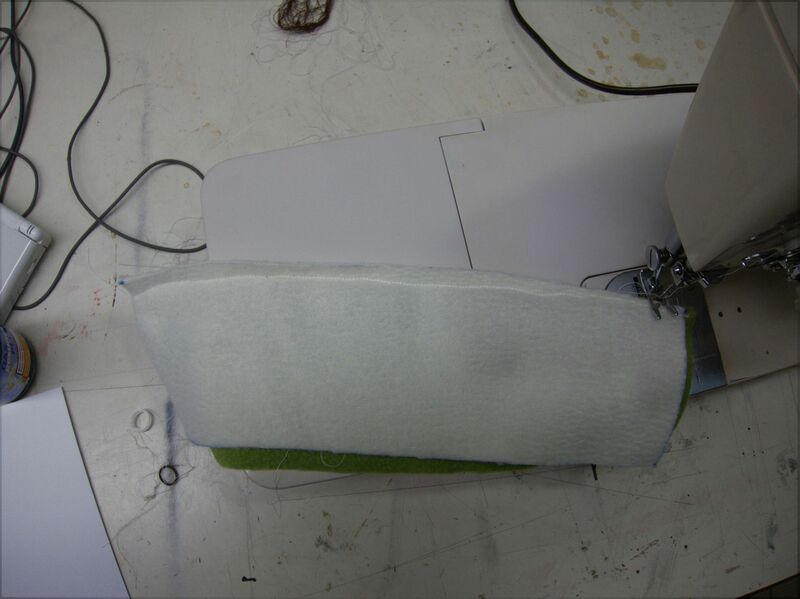 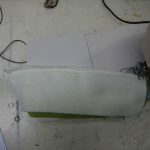 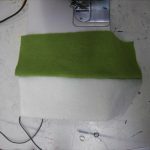 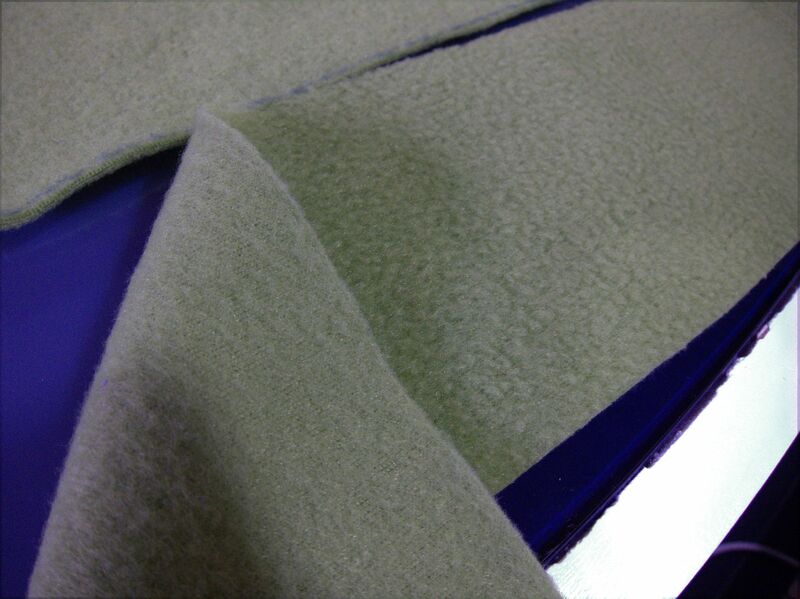 again, the interface has been fastened to the felt using ironing. 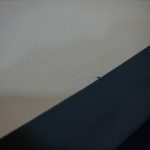 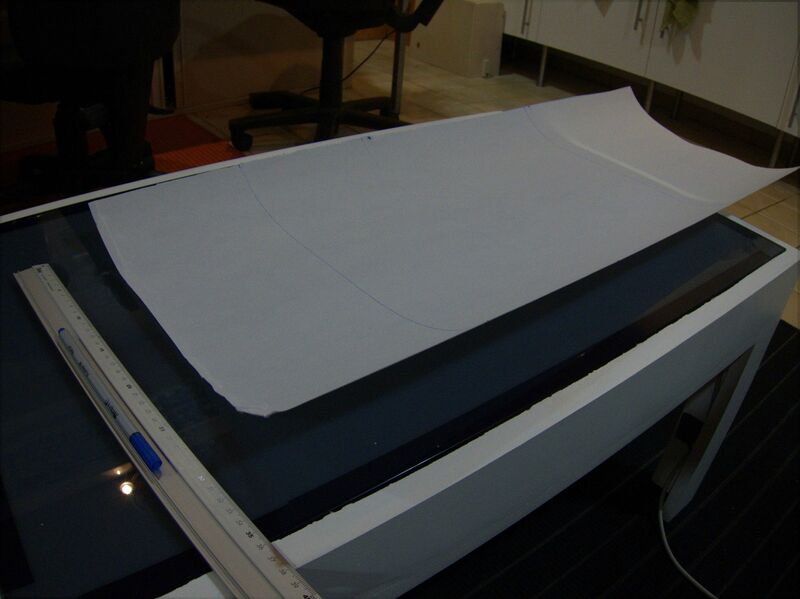 A little of the interface is still visible – cut until satisfactory! 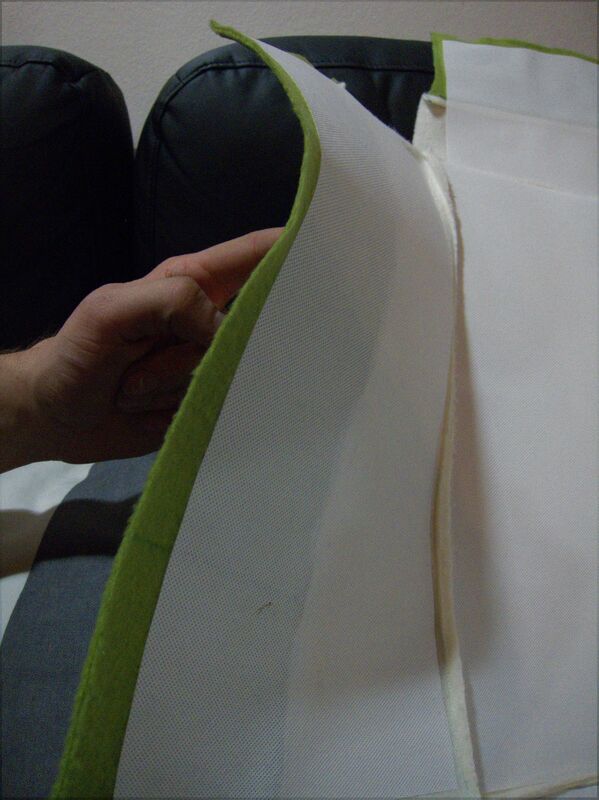 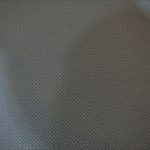 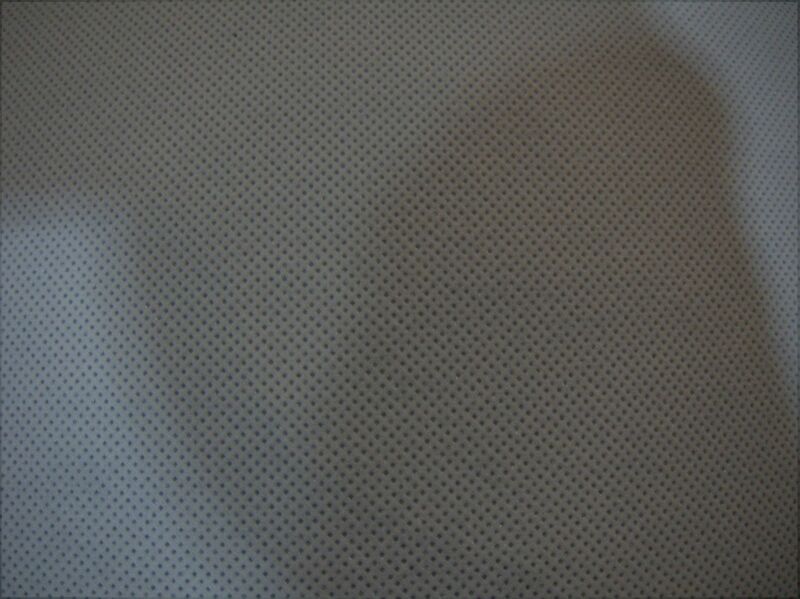 this should illustrate the final stiffness of fabric+interface – it’s quite good! 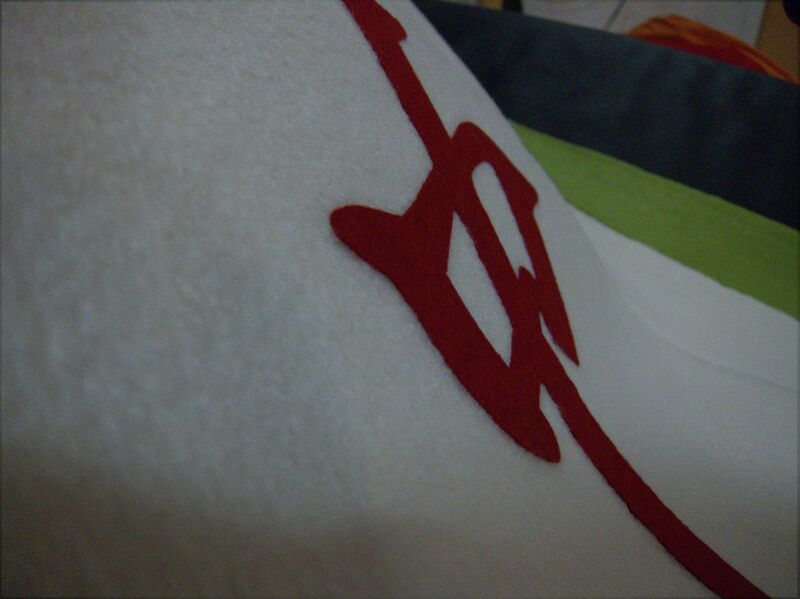 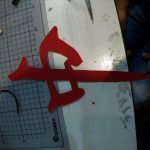 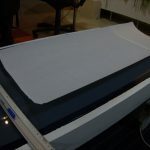 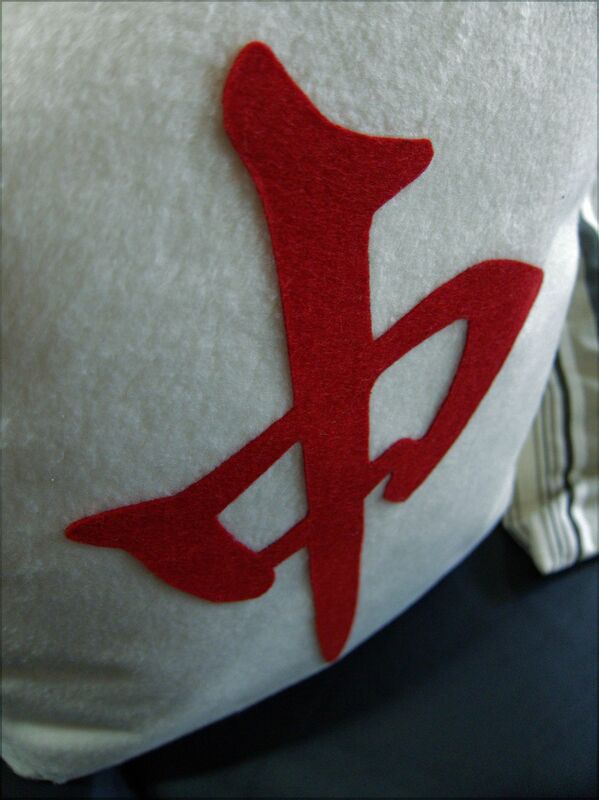 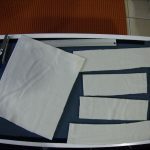 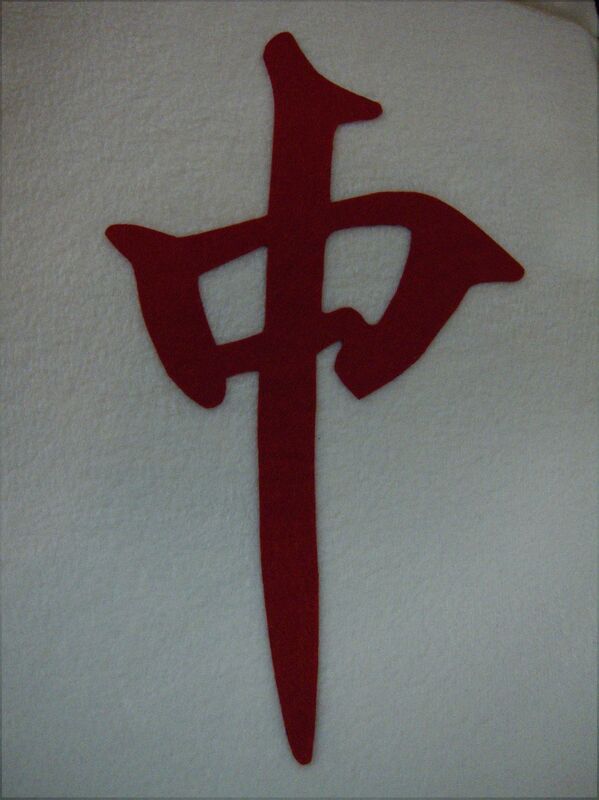 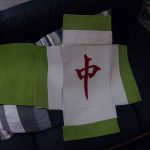 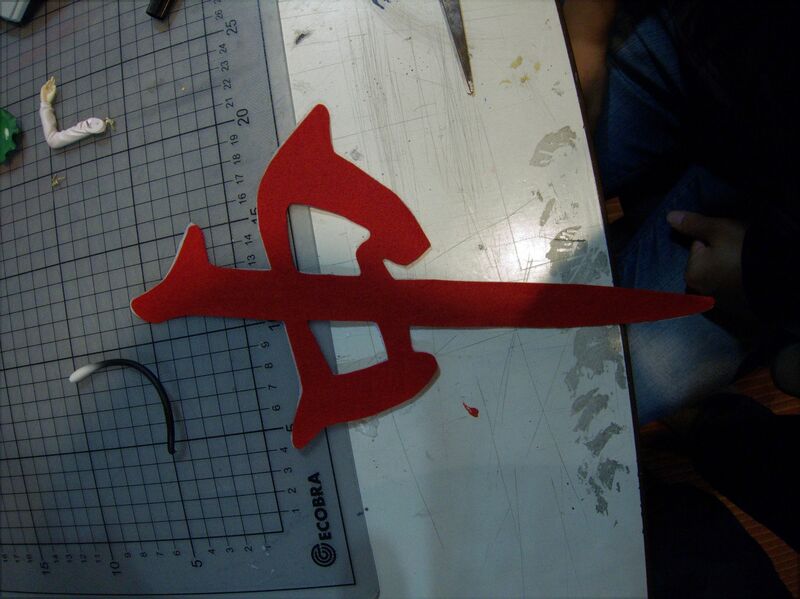 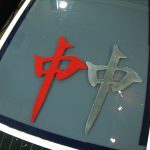 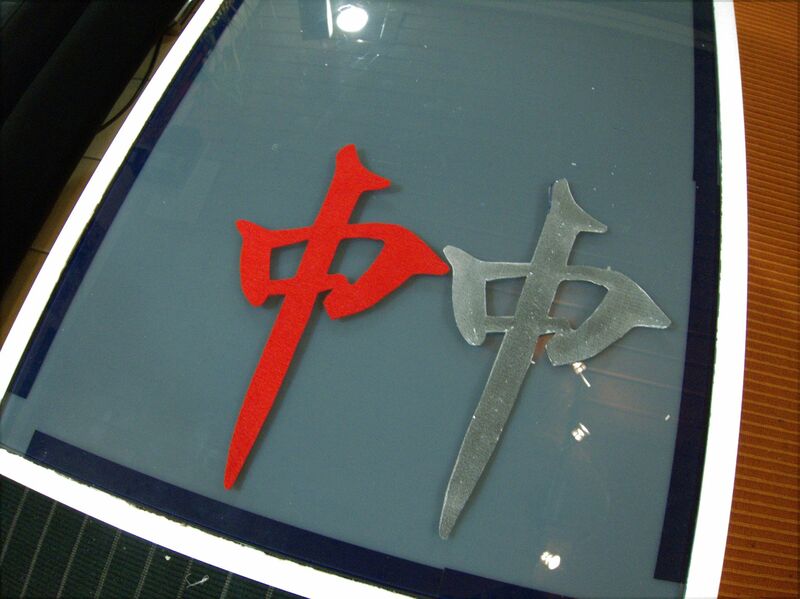 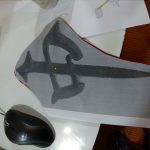 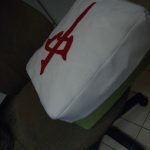 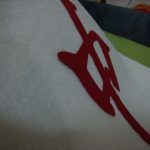 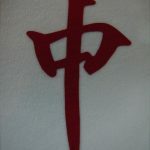 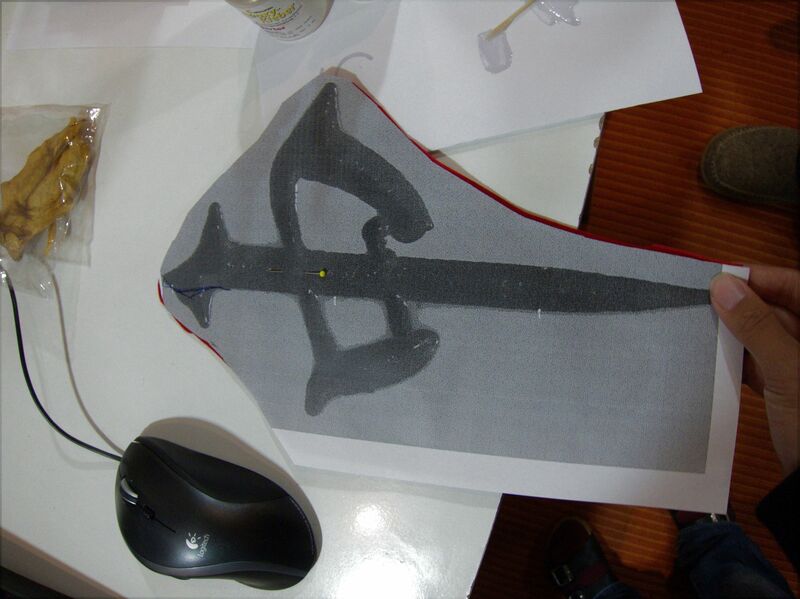 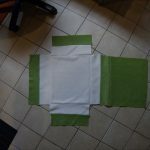 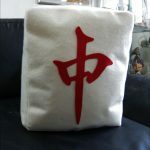 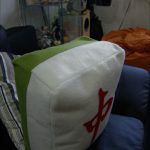 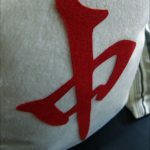 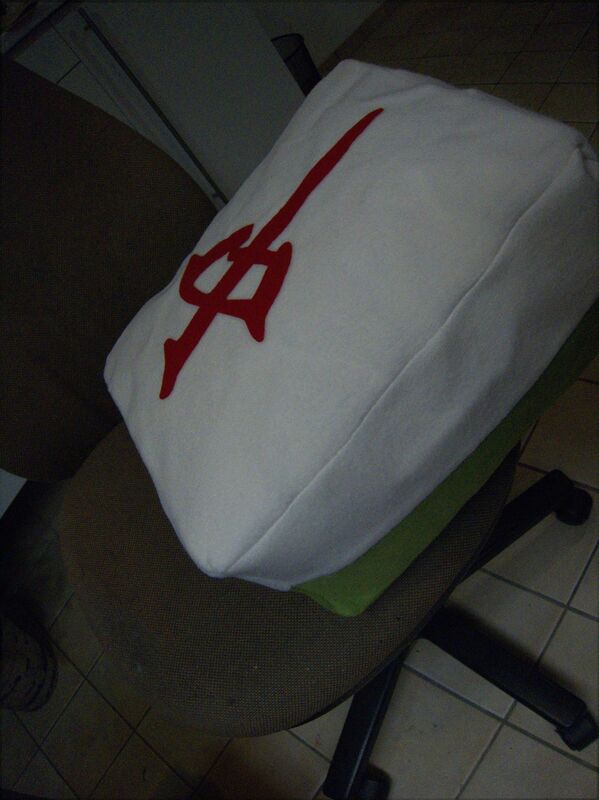 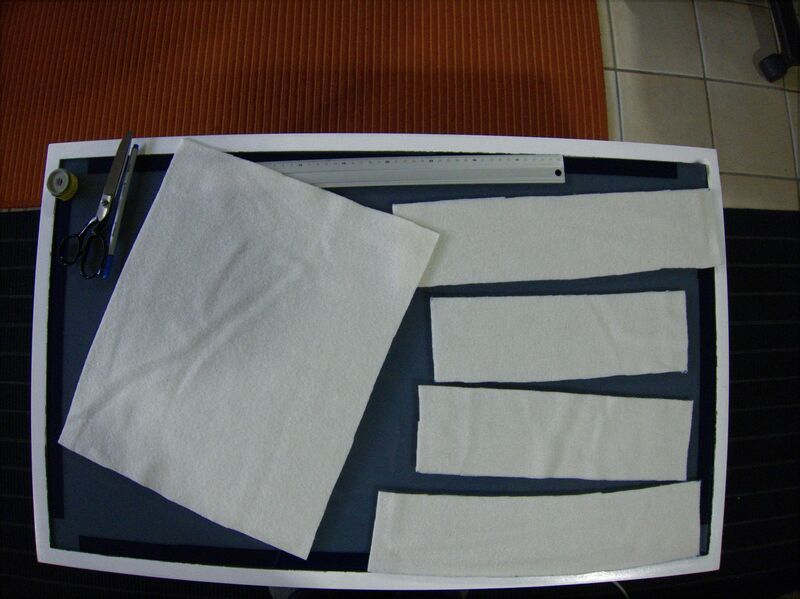 then fasten the chun-character on the front (white) – again iron it on! 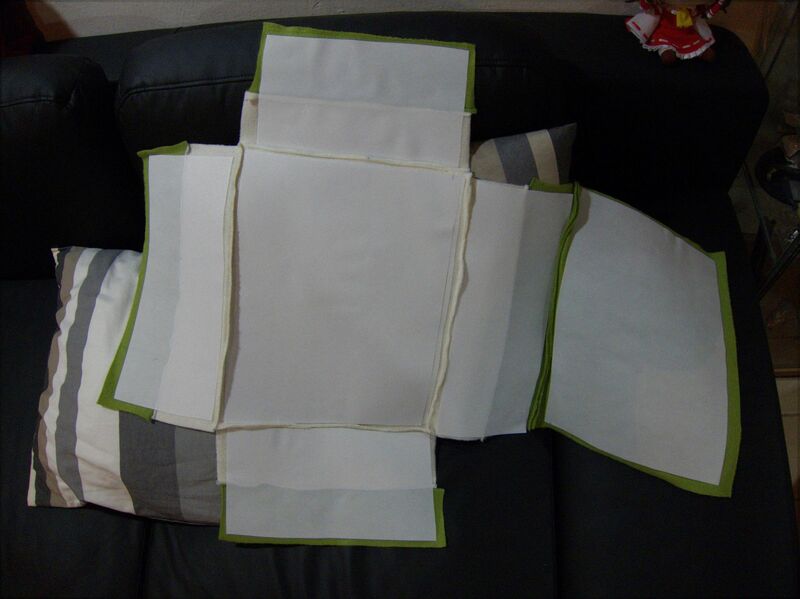 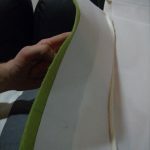 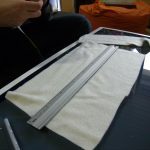 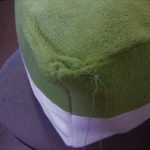 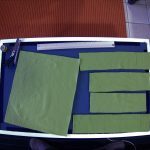 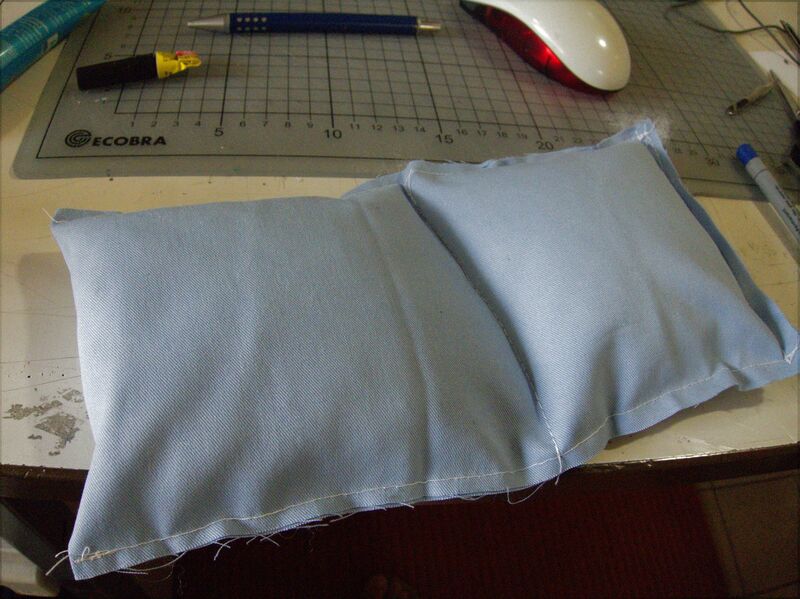 After sewing together the remaining edges (leave one open!) 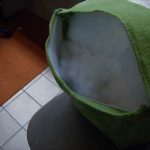 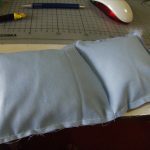 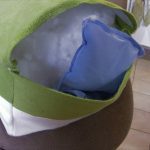 and turning the whole thing outside-in (as you sewed on the outside) you can fill it with almost as much stuffing as you want.. 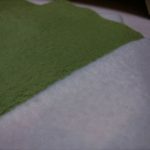 The finished product! 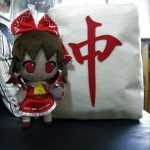 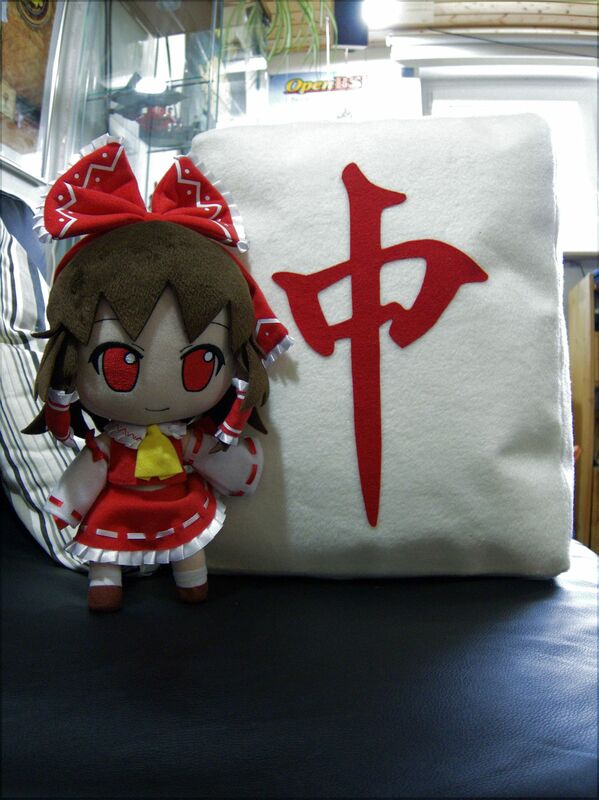 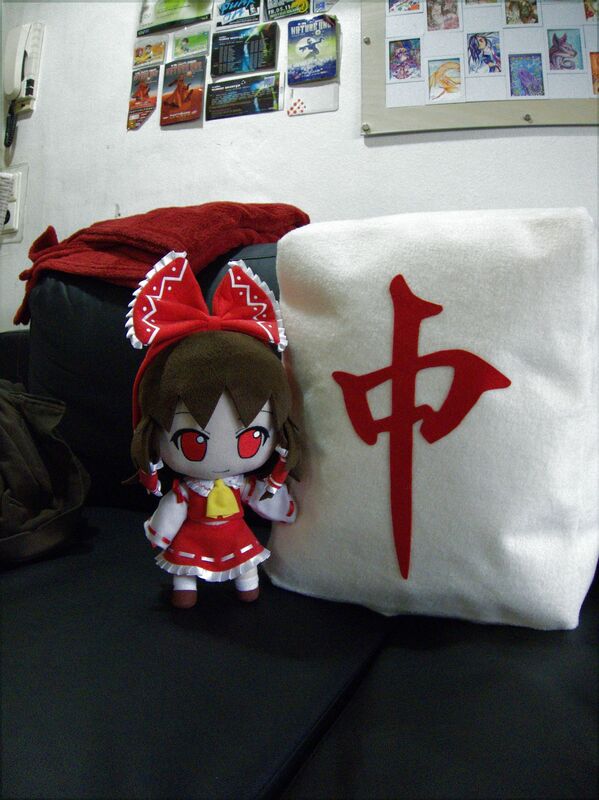 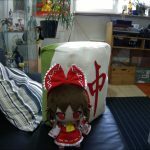 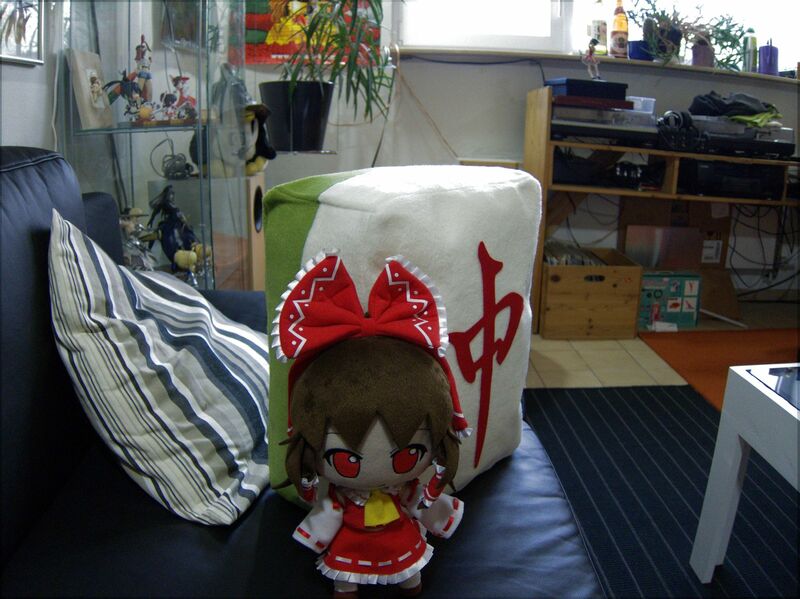 Reimu is there as a size comparison – it’s huge! 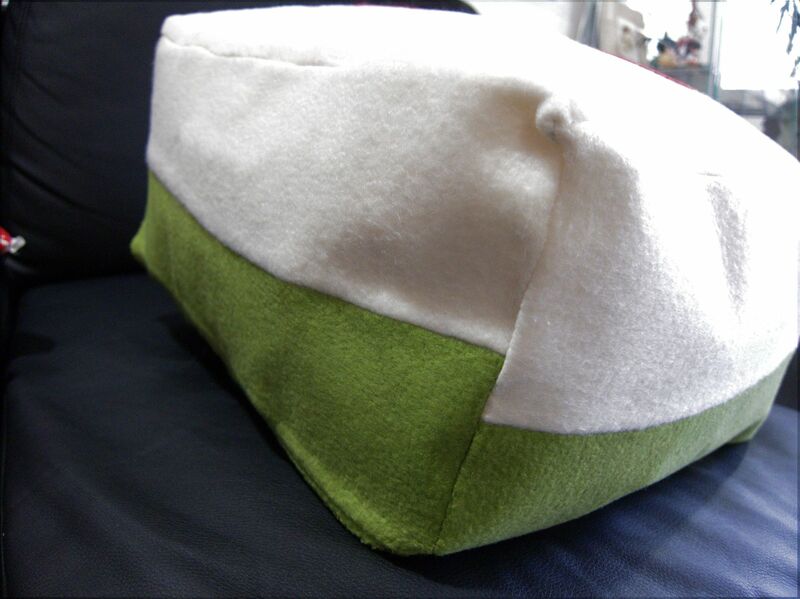 And fluffy! 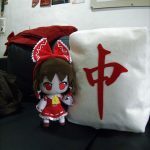 RON!!! 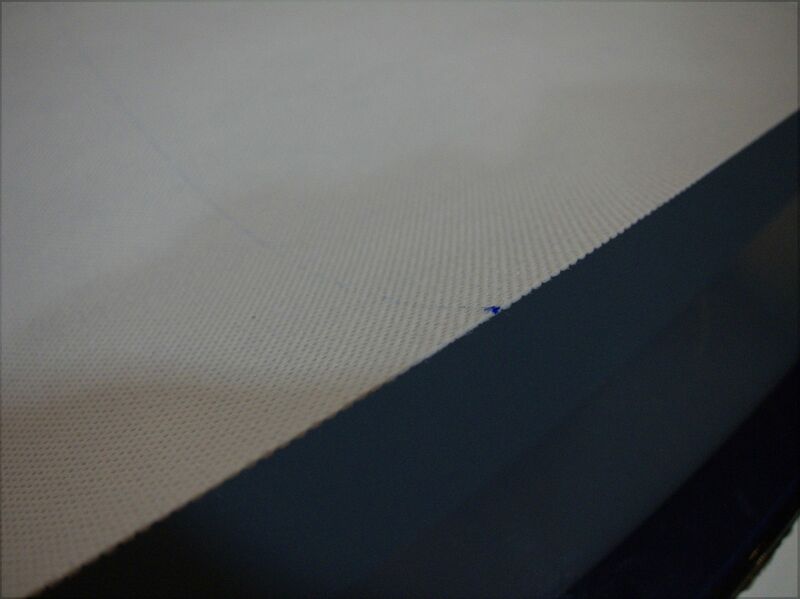 I’m quite pleased with the final result – especially the sides are as stiff as they should making the whole tile “box-y” enough to look good. 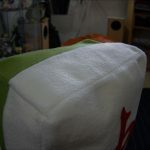 A little drawback is that the thick textile interface make a “crumbling” / bending-cardboard-like noise when you rest your head on the tile, so it’s not a ideal pillow to sleep on. 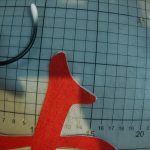 As always – if you want detailed help, better measurements or more more detailed explaination somewhere, please mail in or leave a comment! 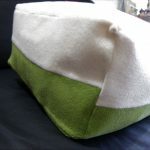 Hope you enjoyed this one! 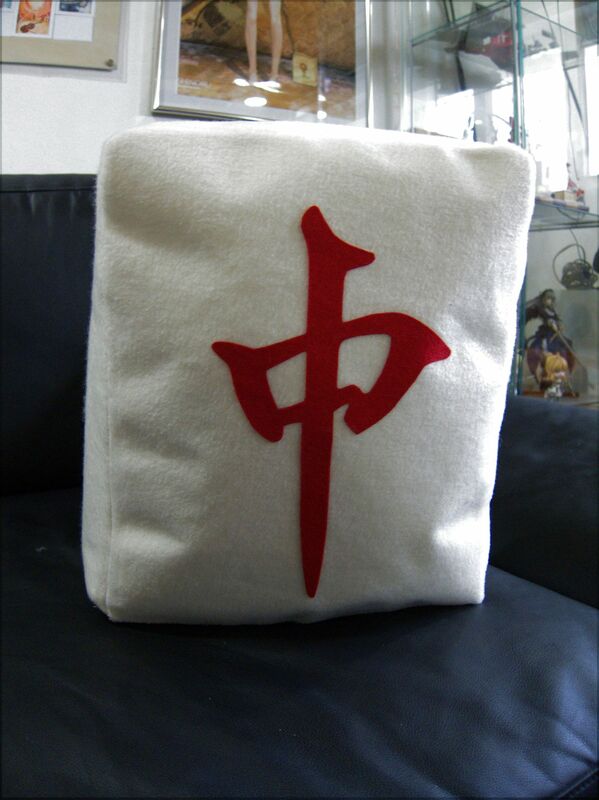 Nice work by fluffy craftsmanship.